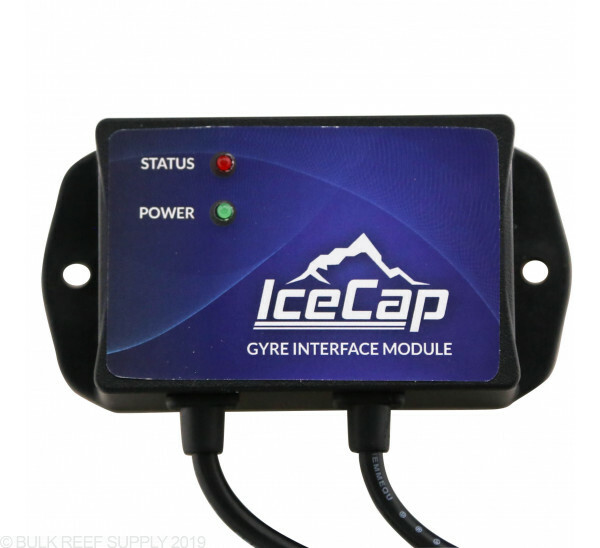 When using the Neptune Apex (or other controllers) with the Gyre Interface module it allows complete control over the pumps at any point throughout the day. With simple visible graphing, controlling the Gyre pumps has never been this simple. 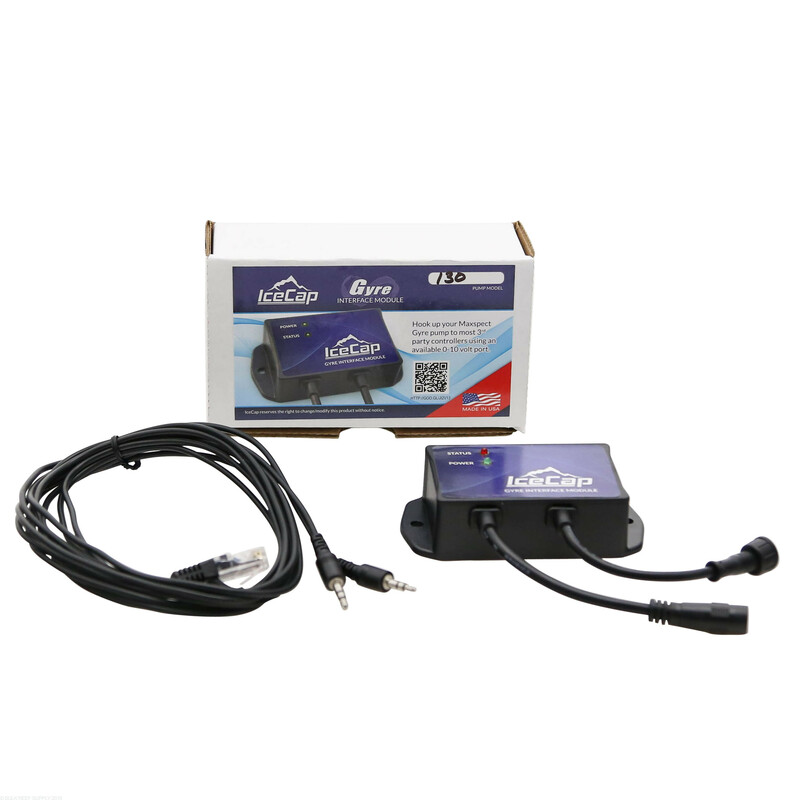 Hook up your Maxspect Gyre XF-130 or XF-230 pump to most 3rd party controllers using an available 0-10 volt port. 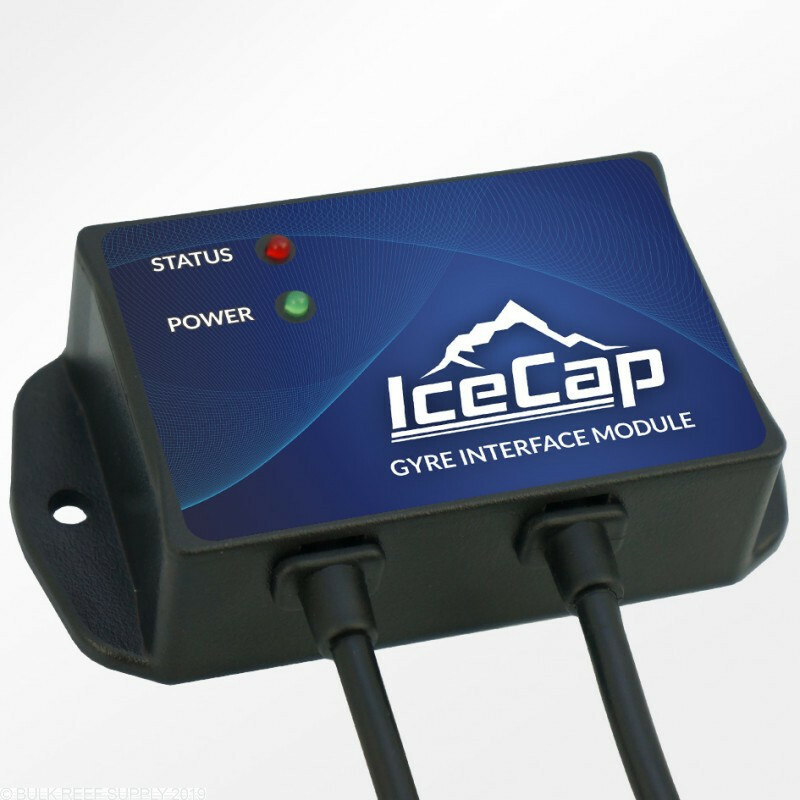 The IceCap Gyre Interface Module is an after-market product that will allow you to hook up your Maxspect Gyre pump to most 3rd party controllers by using an available 0-10 volt port. 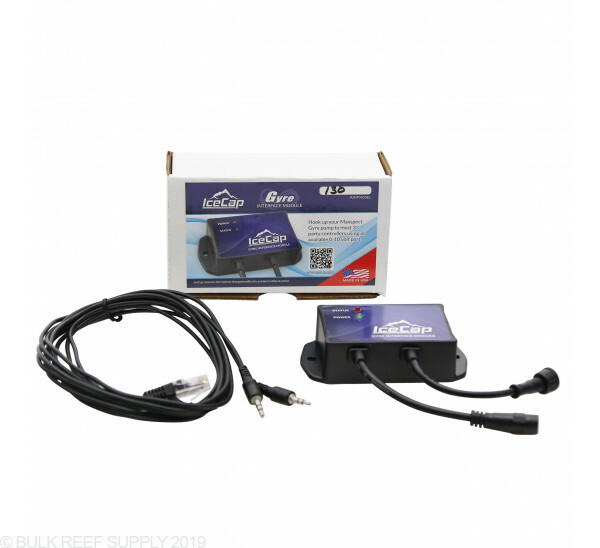 This makes the Module very versatile and almost universally compatible with most controllers including the Apex by Neptune Systems or the Reef Angel among others. Another great feature of the module is that it allows you to hook up your gyre to a backup battery. The module will automatically detect when main power is lost and will slow the gyre the 30% speed to extend the life of the battery. The module is backwards compatible and will run all Gyre pumps already on the market. Note: The XF130/230 Interface Module will only work with 1x Maxspect Gyre XF130 or XF230 pump. 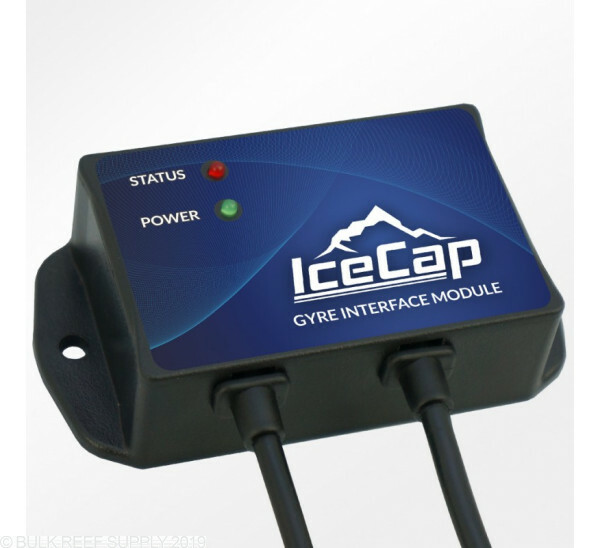 If you have multiple pumps you will need an additional interface module for each Gyre pump. To run the Maxspect Gyre in Alternating Gyre Mode (forward and reverse) you will need the Alternating Gyre Mode Modified Cable (sold separately). Normally i do not post reviews on products but this one warrants a review. Programming it was easy via my apex and when it works, it is great. However, almost once a day now i have to powercycle the interface module bc it freezes up. First it was every now and again, now it is every day. I thought it was maybe one of my settings so i went basic and programmed it for a constant on, it still does it. I am not please at all and it feels like I've wasted money bc if im gone for the weekend I could come back to a ruined tank. 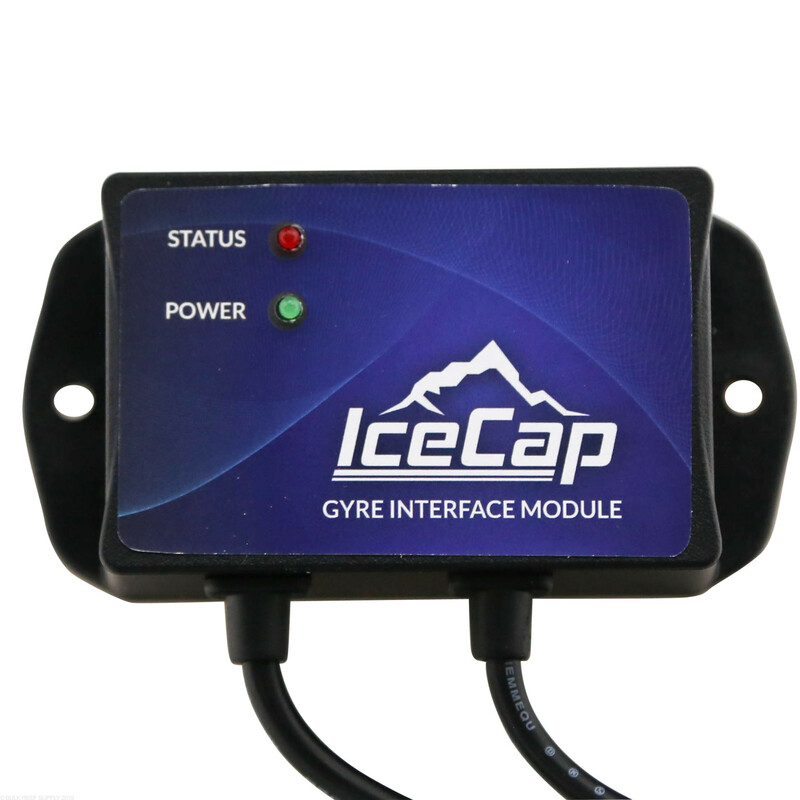 The interface module between the 230 gyre and my Apex controller allows me to control the gyre and monitor it with ease. However, you cannot sync two gyres or setup patterns randomly or automatically. You have to manually choose each time/level setting which is very time consuming. Once you create one pattern you can copy it to the other gyre but each gyre must have it's own interface module and you cannot set it to run in "anti-sync" to the other gyre. All these features would improve performance.